Cool Hand Luke – Cora: I’m not one for dancing, but tonight I’m dancing for You. In Brief: An unexpected return from an artist I assumed had hung it up for good back in 2011. The new sound is a little more groove-based, but doesn’t abandon the piano-heavy indie rock sound CHL had established in their mid-career. This is a strong effort, easily on par with The Sleeping House. Here are my first impressions of the latest releases from Lights, Cool Hand Luke, Marah in the Mainsail, Passion Pit, Derek Webb, Queens of the Stone Age, St. Vincent, and Kevin Max. 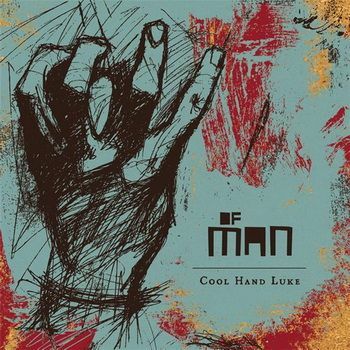 Cool Hand Luke – Of Man: This is goodbye. But this is not the end. In Brief: CHL’s swan song, a thoughtfully crafted concept album about Christ’s death and resurrection, is the rare “Christian rock” album that qualifies as excellent art.